In Rhode Island, are you required to disclose all of your property when filing for Chapter 7 bankruptcy? A Chapter 7 Bankruptcy exists to protect you and your property. However, to receive a discharge of debt, you must disclose all of your assets. During the bankruptcy process, a debtor will be asked if he is telling the truth. Bankruptcy lawyers will even use the phrase “under penalty of perjury” to remind a client that hiding assets is a violation of federal bankruptcy law punishable by jail. Your bankruptcy petition must fully list all of your property. Understand that the US Trustee has many tools to discover hidden assets. Even calls from “anonymous tipsters” help trustees make sure that a debtor is not attempting to conceal assets. 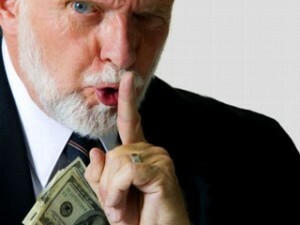 Disclosing all property to your bankruptcy lawyer is actually in a debtor’s own best interest. Telling your lawyer the complete truth will help him protect you and your property. Most who file bankruptcy are honest, hardworking people who have run out of options. Having a debtor list all his property in a bankruptcy petition makes the system fair for everyone. Bottom line: your bankruptcy petition must be complete, accurate, and truthful. Don’t leave out any property. In a recent video by ABC6 News, it was suggested that a person could lose their house if they file a Chapter 7 bankruptcy. While there are limits to how much equity can be protected, the statement was misleading. The process is actually easy to understand and is designed to protect most homeowners who need bankruptcy relief. Let me explain how you can keep your house and still file bankruptcy. Under Rhode Island bankruptcy law, a debtor stands at a fork in the road when it comes to protecting real estate. He can choose either Federal or Rhode Island exemption laws. Both laws allow a debtor to protect a certain amount of equity in his house. As a reminder, equity is the difference between what a house is worth and the remaining money owed on the mortgage. In other words, it represents that portion of the home that the debtor truly owns. For example, if a house is worth $ 350,000, but there is $ 275,000 mortgage balance, there is $ 75,000 worth of equity in the house. For clarification, here is the better question to ask: How much equity can a RI debtor protect in his house? If a debtor has lived in RI long enough, he can protect up to $ 300,000 of equity in his principal residence under RIGL 9-26-4.1. This is known as the homestead exemption. Under Federal exemption law 11 USC 522(d)(1), a debtor may protect up to $ 20,200 in equity as an individual, and $ 40,400 in equity if filing bankruptcy jointly with a spouse. The debtor must make a choice. Will he benefit more by using Federal exemption laws that are more generous in other property categories, or will he do better with RI laws that offer deeper protection in fewer property categories? In addition to getting accurate market data on the house, an analysis must be performed by a qualified attorney to determine which laws will accomplish the greater protection. In reality, it is very rare for a person to lose their home in bankruptcy. The reason for this is that most debtors do not have substantial equity in their homes. With real estate prices plummeting these past few years, and heavy mortgage refinancing prior to that, most homeowners have seen their equity go down. Bottom line, there is plenty of protection available for most homeowners trying to protect the roof over their heads. There is no need to fear that the process is arbitrary. It is pretty cut and dried. You can know that your house is protected even before your bankruptcy case is filed. I have represented thousands of home owners who were able to wipe out unpayable debt and STILL KEEP THEIR HOUSE. If you want to understand how you can protect your house and still file for bankruptcy relief, give me a call at 467-6800, or request a free consultation following the link below.